Fashion blogs are the latest craze on the internet today. Discover how to start a fashion blog of your own today. Anyone can start a blog of their own. While there are no pre-requisites to getting started, you will need a domain name, web hosting and WordPress to create content for your site. This course will show you how to set all of this up. Fashion blogs are all over the place. Now the question is, would you like to start a fashion blog of your own? If so, this is the ONLY blog training course you will ever need. 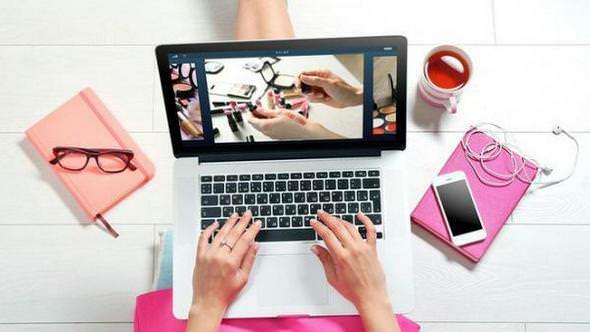 Not only will I be showing you what it takes to create a successful fashion or fan blog, I will also be walking you through the process step-by-step in my "7 Day Blog Challenge", (my best selling blog training course valued at $195) which I've included for free in this course. The first thing we are going to do in this course is we are going to pick the right niche for your fashion blog. This is an extremely important part of the process, as it will lay the groundwork for the success of your blog in days and weeks to come. Create a fashion blog you are passionate about, which we will help you discover. Find a passion that will also make you earn in the process. Since we already are going to be focusing on a "fashion" concept, it's just a matter of finding which direction and content topic you want to go after. Once you decide on your fashion blogging niche the second thing it that choose a unique but effective domain name for your blog website. I will walk you through the process of choosing a great domain name for your blog website. Make sure you come up with an original domain that represents the content on your site, but also making sure it's something that is easy to remember and spell in the process. After choosing a domain name, it's time is to go live with your fashion blog. I will walk you through the process of how to setup your blog in just 5 minutes with WordPress and without any coding. Choosing the right WordPress theme for your blog website is also an important, so I will lay out these guidelines for you as well -- along with showing you some of my favorite sites where I get my own premium themes. In this course, you will also get to understand why and how to use the top WordPress plugins that are required for blogging success. You will also discover how SEO works and which WordPress SEO tips you should be following to help you improve your WordPress blog website SEO and get more organic traffic. The more you focus on your site content and SEO now, the more chance you will have for ranking for fashion related keywords and search phrases. At the end, I am going to show you the best methods to get free traffic to your blog. There are many ways to reach traffic on the internet today, but I'm going to only focus on four methods that I continue to use today -- these are SEO, guest blogging, infographics and social media. I will also show you the best ways to make money from your blog. If you truly want to profit from your site, you will need to focus on your content creation and marketing efforts. This is something I have continually mastered and will show you how to as well. In summary, this course is easy enough for a newbie blogger to follow, yet also loaded up with more than enough actionable tips and resources to teach veteran bloggers and marketers something as well. This is the only guide you need to get your blog fully functional and live. Be sure to visit bonus video material for more videos on the specifics of how to complete any of the actions discussed in the course. As with all of my courses, I know they are top notch and the best around. If you don’t like the course for any reason then you can request for the refund in first 30 days from your purchase. Also, remember that this course comes with lifetime access to the course, that means you will get access to all the future lectures at FREE of cost.